After 30 days after finishing the 30 day course of Matula Tea I retested with the h. pylori antigen stool test and it came back negative. The h. pylori were eradicated again. Thank the Lord! But why did I get the infection back? It is not clear. The reason I mentioned the tooth abscess is that there is some limited research suggesting the h. pylori bacteria can harbour in dental cavities. Certainly I can believe they could hide in an abscess away from any blood flow. Subsequently I have had all my metal fillings removed and replaced with new composite material. Also the only root canal tooth I had I had removed. I did not want any chance they would come back after hiding in some other tooth cavity. Even though the last test indicated the h. pylori were eliminated, I still had some gastritis and reflux. It was nowhere as bad as when I had the h. pylori bugs, but I suspected I had some other bacterial or fungal overgrowth. Apparently this is a common situation. Subsequently I had myself tested for a range of other bugs, fungal growths and parasites, but the test was negative. Nevertheless, I read in Dave Hompes eBook on h. pylori that other bugs are very common and he recommended another stomach cleanse using the herbal medicine called GI Microb-X manufactured by Designs for Health. His protocol was to take 2 capsules twice daily (morning and night on an empty stomach) along with a good quality probiotic (with food) as well as oil of wild oregano. I found I could not take the wild oregano oil because my stomach was still not yet healed. I substituted olive leaf extract. 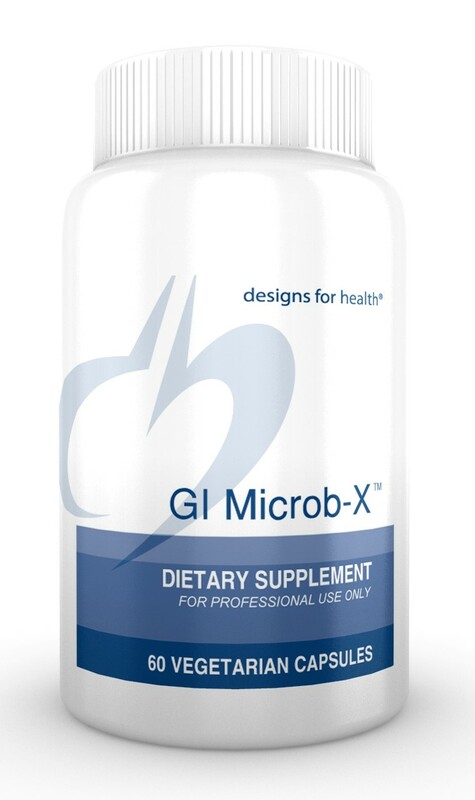 After two days on the 4 capsules per day of the GI Microb-X I found I could not continue as it made me so sick. I stopped for 5 days and then started again with one capsule per day, with food. After one week I increased that to one capsule twice per day. I do know that I need to stay on a strict bland diet. When doing this I do not need to take an PPI’s (antacids) to control the pain of gastritis. If I do not stray from my diet of no caffeine, no alcohol, no refined or manufactured food, no spices, no acidic foods, no gluten or dairy or soy, and only eat virgin coconut and olive oils, I am able to live pain-free from any gastritis. I take several supplements to assist the healing of my stomach lining. They are Deglycyrrhizinated Licorice (DGL), Aloe Vera, L-Glutamine, and N-Acetyl-Cysteine (NAC). I mentioned I had all the metals removed from my teeth. There is some evidence that Mercury (even other heavy metals) in some way helps the h. pylori to flourish in your gut, and it can even cause reflux. Certainly chemical stress of various kinds, as well as emotional and mental stress are major factors. Also the use of antibiotics is another factor that can allow the horrible bugs to overgrow and dominate in your gut. So that is where I am currently at. Still fighting the fight to get my health back. But each day I feel I am winning the war even though occasionally I lose a battle and have to reset, to make sure I eat a pure clean diet, with no processed or refined foods. As part of my journey this past year I also was diagnosed with several skin cancers. I had one melanoma and one basal cell carcinoma (BCC) cut out successfully. The BCC was on my heel and required a skin graft which kept me off my feet for a month and has given me much pain and anxiety. I also had three squamous cell carcinomas (SCC) burnt off with liquid nitrogen. I have since discovered a simple treatment for any pre-cancerous cells, even BCC’s and SCC’s, is milkweed. 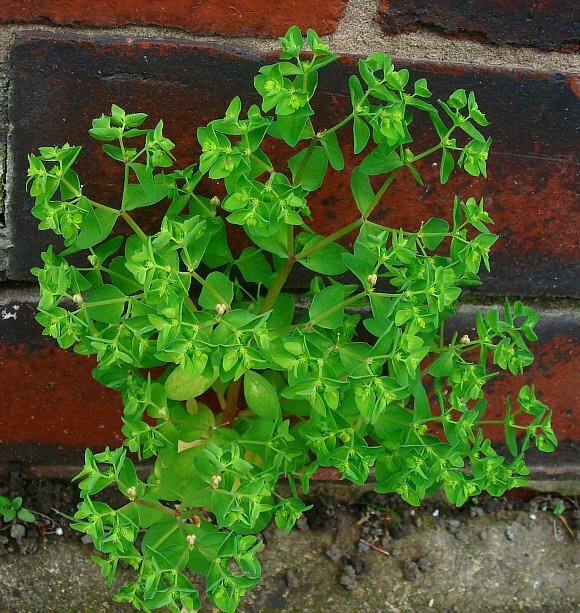 It is also known as petty spurge or cancer weed or radium weed. Its scientific name is Euphorbia peplus. It is easily found. It grows everywhere. It has a white sap that is used on the skin. I applied the sap to raised lumps on my skin, to sore, pink and scally spots and even a wart. After only 1 or 2 days of application (once per day) eventually the site scabbed up (at about the 5th or 6th day) and finally the scab fell off leaving clean skin. The wart completely fell off less than a week after application. I will say though it really hurts when you apply it to the offending site. But it is good pain as it is killing the bad stuff there. Apply only to the target site, and as little as possible. The sap is toxic so keep it away from your eyes. It would be very painful to get it in your eyes. When I first tried it, I tested the sap on a few raised lumps on my hand, not on my face. That was to see if I could tolerate it. It worked very well, and then I tried it on my face with good results. This information is useful to know. It helped me avoid having to cut my skin so much, in the cases of non-melanoma skin cancers. I have no knowledge of how it deals with melanomas. I have found nothing on that. ← Has light from the first stars after the big bang been detected? Thanks for sharing. Praying for full recovery. Can relate to teeth problems!